Available at $17 for the Next 7 Days Only! What is it and what does it do? In short, it is a fancy (yet very easy to install & use) WordPress plugin designed specifically to get your links crawled by search engine bots. It allows you to take multiple URLs (thousands at a time if you want), paste them in an easy to manage WP plugin, which then takes those links and turns them into an RSS feed. It then goes ahead and pings the feed to PingoMatic.com as well as Pingler.com (if API is set up). Then it continues by automatically submitting it to my premium LinkLicious account. This alone drastically increases the chance of each campaign feed getting the attention of the search engine spider bots. You can also set up your OnlyWire account so that the plugin automatically submits each campaign feed as it gets created. It gets even better though: We integrated LinkLicious so - if you have an upgraded account with them - you can enter your API key into RSSassin and it will submit all the links you entered into the campaign to your LinkLicious on complete autopilot. This (of course) is optional, but we figure if you use LinkLicious anyways, we might as well save you the time and hassle of having to manually make your submissions with them also. We are also looking at integrating other popular indexing services that (offer API keys to outside programs) so, what RSSassin does so far is just the beginning. The Mission: We want to make RSSassin your swiss army knife of link indexing. Meaning, instead of going from one site to another to submit your links to indexing services, we want to save you time by letting you do all that (and more) with just a few clicks in RSSassin. Invest in Your Copy Right Now! I know this works well because all of my courses focus on the use of RSS Feeds and in one there is a live case study of a site goes from page 3 5 and 4 for it's main money keywords straight onto page one within hours of my mass RSS syndication, not only is it still page one - it's actually #1 for each of it's main keywords and so are most of this sites videos. I actually had a WSO launch last year that focused purely on RSS Syndication and the feedback from people who bought this was huge, buyers said my product gave them the best bump in rankings of any SEO product that they had bought, this stuff really does work! and they all focus on RSS Syndication in one way or another. 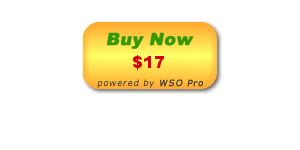 This is one of the most overlooked yet powerful parts of SEO today, the price of $17 is ridiculously low as similar inferior RSS Software's will cost you far more. I am a customer of Konrad's and I can tell you that this guy is on top of updates, what you buy today will only get better as Konrad always further develops and updates his plug ins. If you are serious about SEO then I strongly suggest that you get this plugin, and pronto, it will make a huge difference to your SEO campaigns. Purchased the plugin + OTO. Very useful. BTW: Would you please accept my friendship request here at the WF?